The PDM Faculty of Law is established with the object of providing high quality education in the legal domain. Our sincere endeavour is to make legal education, as an instrument of social, political and economic change. Each individual who is part of this institution must be remembered for the promotion of social justice. Our students will not only be shaped as change agents as the country achieves its social and developmental goals, but will also be equipped to address the imperatives of the new millennium and uphold the Constitution of India. PDM faculty of Law has an impressive array of academic, sports and cultural facilities. It is one the finest institutions and has all the requirements that a college needs to strive ahead. The prime objective of the department is to achieve academic excellence in research and to inculcate & promote the legal education. The objective of the programme is to produce well-trained and professionally competent professionals imbibed with the knowledge and capability to face the dynamic and increasing challenges of the professionals today. LLB programme is designed to meet the changing demands on law graduates. It is devised by benchmarking against the law programmes offered by the best law schools in the world and has a number of features to ensure the competitiveness of our graduates. Teaching of the new curriculum will be largely problem-based and be conducted in a small group, student centered environment. Apart from legal knowledge, the curriculum will also focus on transferable skills such as communicative skills, analytical skills, research skills and problem solving skills. PDM is a place for people who love ideas that make a difference in the world. PDM is alive with thinking, research, and advocacy. We address law’s interaction with public policy, ethics, business, information and human needs and perceptions. We invite close analysis of institutions, rules, and practices—and also of their potentially unintended consequences in people’s lives. Fundamentally, our community of Faculty, Staff and Students advance law and justice in service of society. The main source of our livelihood is agriculture and most of the population of this world directly rely on agriculture as mean of living. Agriculture however is associated with the production of essential food corps, beyond this agriculture also involves forestry, fruit cultivation, dairy poultry etc. In the present time, marketing and distribution of corps and their products are acknowledged as part of agriculture. Agriculture plays a critical role in the economy of the country. In the present time, marketing and distribution of crops and their products are acknowledge as a part of agriculture. Agriculture plays a critical role in the economy of the country and therefore it can be considered as backbone of the economy of the country. In addition of the above, agriculture also provides employment opportunities to a large percentage of the country. There are a plethora of opportunities for a law graduate. One can either practice as an advocate in a court of law or work with corporate firms. By clearing exams conducted by Public Service Commissions, a law graduate can become a judge. After gaining experience, a law graduate become Solicitor General, a Public Prosecutor or offer services to government departments, ministries and private sectors. One can also work as a legal adviser for various organisations. Teaching in colleges, working with NGOs and working as a reporter for newspapers and television channels are other attractive options. The high-quality legal education integrates its legal concepts with an incisive and practical understanding of law. The programme develops the general skills and core competencies essential for legal education. The focus is on development of the capacity to analyse and reason, oral and written communication, knowledge application, intellectual curiosity and professional integrity. The university offers an extraordinarily campus in which students, faculty and staff work together. PDM imparts a rigorous and multi-disciplinary legal education with a view of producing world class legal professionals, scholars, leaders and public servants.  PDM empowers its students with knowledge, skills, and vision to meet the challenges and opportunities of a rapidly changing world. The university’s expert faculty comes from across the globe and engages in critical scholarship that contributes to public debates. PDM is committed to providing a world-class legal education to a diverse and talented body of students. Students are given exposure to new ideas, international perspectives, and innovative teaching in an encouraging and open academic environment. With a high quality legal education bolstered by unique work experiences, our graduating students will be armed with the skills they need to succeed in a diverse set of fields, both in India and abroad. I take this opportunity to welcome you to our Faculty of Law. 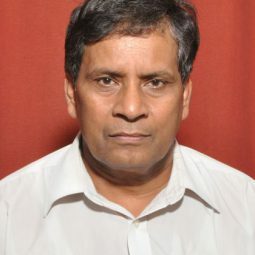 Professor Mathur has obtained his M.Sc (Integrated) in Physics and Mathematics (With Honour) and Ph.D. in Physics from Moscow University, Russia. He then did his Post Doctoral Research in The Academy of Science (JINR), Dubna, Russia; University of Rochester, USA and the University of Bielefeld, Germany.